Can I turn in an essay ordered from this site? Absolutely, NOT. It is plagiarism to turn in someone else’s work for credit, and that can result in you receiving no credit for an assignment and potential disciplinary procedures against you. Other websites may tell you that you can turn in essays purchased from them for credit, but the reality is that doing so not only violates the ethics codes of every high school, college, and university that we have encountered, but might also violate state laws, depending on where you are located. Our custom written essays are provided to give you a template for your own work and to help you improve your writing skills. How much does it cost to use aceyourpaper.com? Complete information can be found on our order form, but we start at $18.00 per page. How do you know what information I need in my essay? You tell us. The more details you provide, the more we can tailor your essay to your exact specifications. Sometimes, you may not know what information to provide; if your request is too generic for our writers to understand, the writer may contact you for additional clarification. 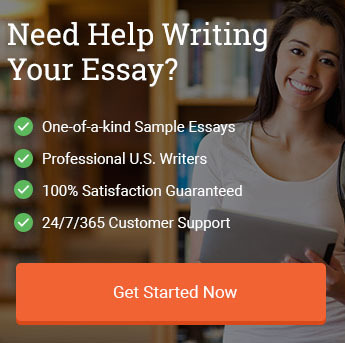 How do I pay for my custom example essay or research paper? We accept PayPal in addition to all major credit cards. Payment is not processed until an order has been confirmed. Is this service anonymous and secure? As an internet service provider, we take all reasonable steps to protect your personal information. We use secure servers to process internet payments (256-bit encryption), up-to-date security to protect personal information, and will not reveal your personal information unless otherwise required, by law, to do so. Can I request a specific writer? Of course. If you have a favorite among our writers, then feel free to request him or her for future work. However, keep in mind that some of our writers only write in specific academic areas or may be unavailable at certain times during the year. In those instances, our customer service team would be happy to match you with a writer with a similar style. What if the essay I get doesn’t match the description I provided? We guarantee an essay that reasonably meets the description you provided, and will provide rewrites to meet that description within 2 days for regular orders and 1 day for rush orders. However, we have found that the best way to ensure this does not happen is for customers to provide as much detail as possible in their original order forms. How do I know that your writers will not plagiarize? Our team of professional writers is composed of highly-educated professional writers, who have been screened to ensure that their writing meets our high standards. We are against plagiarism of any kind and guarantee a work that is free from plagiarism. How quickly can I receive my paper? A standard order takes 5 days, but you can select shorter turnaround times in your order form. We are able to complete many orders within hours of receiving them. The main problem with offering refunds with a service like ours is, once a customer has received a paper, there is no way for us to ensure it will not be used even if a refund is issued. Likewise, if you change your mind about an order after a writer has already begun work on it, offering a refund would leave that writer without compensation for their work, and we would lose all of our high-quality writers. Therefore, we have a policy of not offering refunds once a writer has begun work. However, we do guarantee our work and will revise and rewrite your work, to meet your initial specifications, for free. We offer various ways potential customers or existing customers can contact us. Please check our contact page to find all methods currently available.